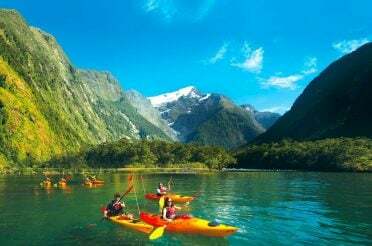 This easy-to-follow self-drive itinerary covering the top rivers in the North Island should inspire you at least to start planning a New Zealand white water rafting or kayaking adventure. You hear mixed reviews about Rotorua – it smells like sulphur, it’s beautiful, it’s crowded, it’s quiet, it’s boring, it’s fun – but I can’t offer much on one of New Zealand’s most popular cities, seeing only my breakfast before heading for stage one of my white water rafting and kayaking trip through New Zealand. 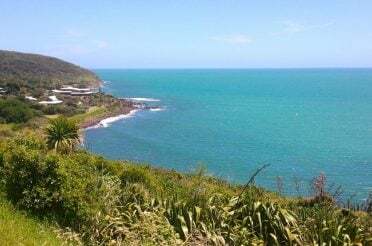 By 9am I was kitted up alongside a ragtag group of keen kayakers and uncertain first-timers, listening to the safety briefing before piling into an inflatable raft and heading into the gorgeous gorges and sheer forested cliffs of Okere Falls Scenic Reserve. 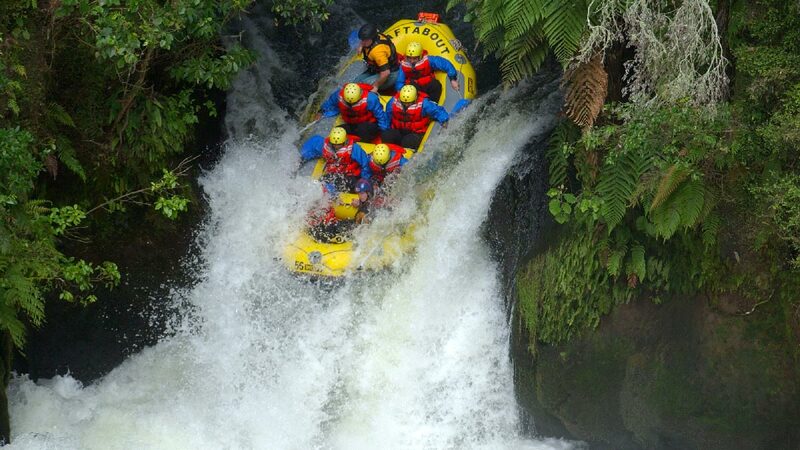 The 3-hour Kaituna river white water rafting tour was recommended as the best introduction to white water rafting in New Zealand because it packs a lot of excitement – combined with a lot of quiet patches to catch your breath – into a short time. Several stretches of grade 5 rapids certainly got the blood pumping and the knuckles clenching! But they were always followed by calm stretches of water where you could laugh and banter with guides and fellow paddlers, so even those who had never rafted before felt comfortable – despite the climax of the trip being bombing down the 21-foot (7m) Tutea Falls – the world’s highest commercially rafted waterfall! Needless to say I was wide awake and warmed up by lunchtime. But the day was only half done, and the best was yet to come! After a final round of high fives, I said goodbye and shot off to make the quick drive over to a paddock by the power station on the Wairoa river, which were my instructions to meet for a 1pm white water rafting tour aimed at real adrenaline junkies. 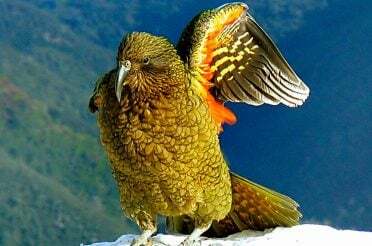 Having had a gentle introduction to white-knuckle white water rafting on the Kaituna river in the morning, I had a baptism of fire on the Wairoa river in the afternoon. The Wairoa river is often billed as an utterly unique white water rafting experience, so I was happy to throw myself in head-first. It was barely two hours long, but the bounce down the river was as unforgettable as the names given to the grade-4 and -5 rapids you hit along the way: “Mother’s Nightmare”, “Rollercoaster” and the “Bottom Drop”. Brilliant. 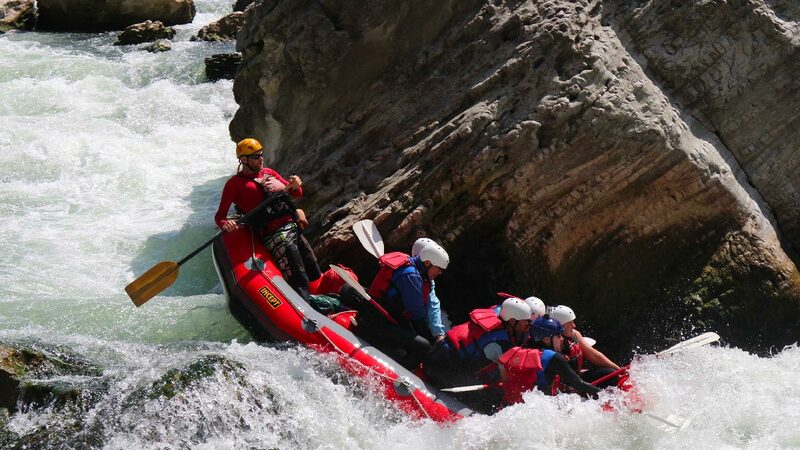 You barely got a break from one to the next, and with some breathtaking 2 or 3 metre drops coming in quick succession between boulder-lined river gorges, this was definitely a white water rafting trip for the bold and the brave. 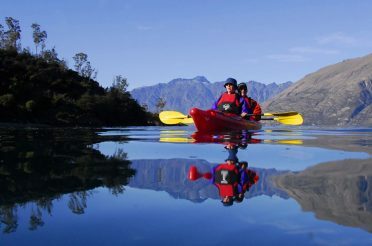 That said, with top-of-the-line gear supplied and really expert guides looking after you, you can certainly tackle this stunning New Zealand river raft trip with more confidence than experience. The Wairoa river is only open for rafting for 26 days a year (because they have to shut down the power station to open it! ), and if you manage to time it right you shouldn’t miss the opportunity! Next stop: a beautiful sunset in Taupo, where I’d be resting my weary head (and arms) before the next big day on my epic white water rafting and kayaking odyssey through New Zealand. 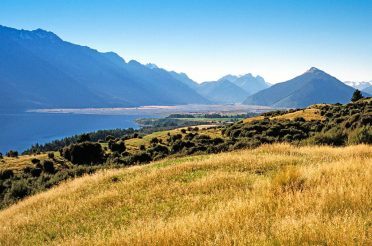 I could take it fairly easy in the morning, since I had planned not to tackle quite as much activity on day two, just a casual white water kayaking half-day tour to the lower reaches of the Tongariro river around Turangi. The total time on the water was around two hours, and it was a fun combination of gentle stretches where you can take in the lush flora and fauna coupled with occasional plunges into swirling white water and rapid running. I enjoyed the point of difference of having an individual kayak, making for a different experience (and thankfully using different paddling muscles, which were still sore from yesterday) from white water rafting in a group. 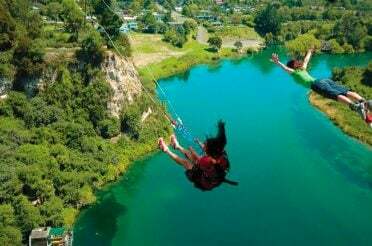 I returned to Taupo township in plenty of time to wander around and enjoy some of the town’s relaxed atmosphere but impressive stretches of shops, cafes, bars and restaurants. I would need some good sustenance to keep me going on the next day of my self-drive white water rafting journey: tackling the mighty Mohaka river in Hawke’s Bay. 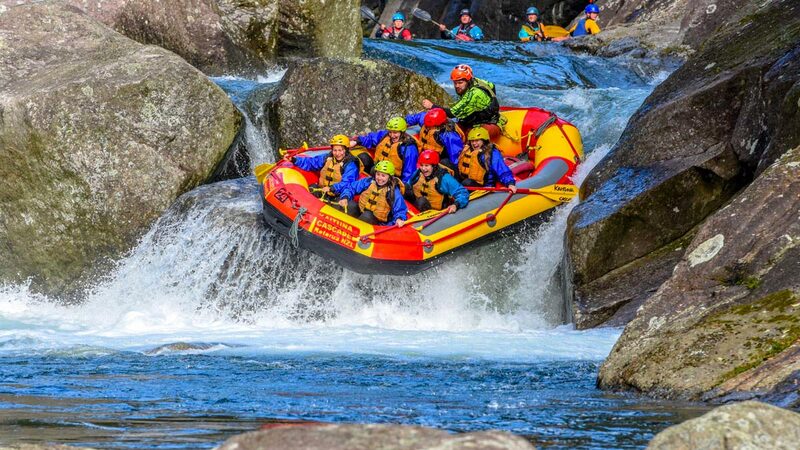 The full-day Whitewater Plunge rafting trip started out fairly easy, with some grade-2 rapids and flat, slow stretches of water great for soaking up the scenery and trying to spot some native New Zealand wildlife – whio, a rare blue duck, has been known to hang out among these spectacular craggy rocks. Further along, the river turns into a series of exciting but mellow grade-3 rapids, and manoeuvring between the rocks adds an element of fun. 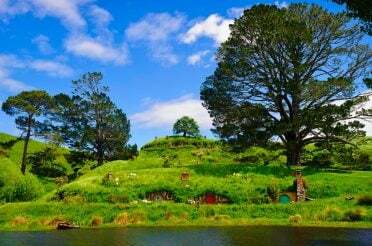 One great aspect of this river rafting tour is that there are plenty of stops to get out and explore. At one point, as the rocks lining the river gradually rise from small boulders to sheer cliffs, there’s even a special spot where those who want to can jump off the cliff into the water below! The Mohaka river in general provides a bit more of a backcountry New Zealand feel than most other white water rafting rivers, and although it’s a bit isolated to get to, driving back to Taupo after I felt that the effort was well worth it. 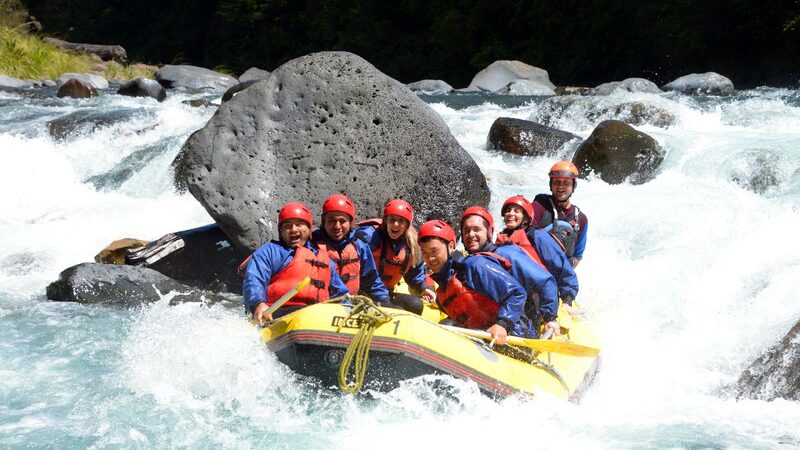 Finish by rafting the mighty Rangitikei! Next on my list was a big one. 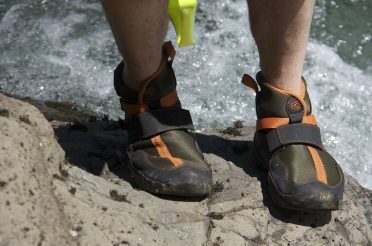 I read about the Rangitikei river from an article about the 5 best half-day white water rafting trips in the world, and needless to say it’s considered one of New Zealand’s very best white water experiences. 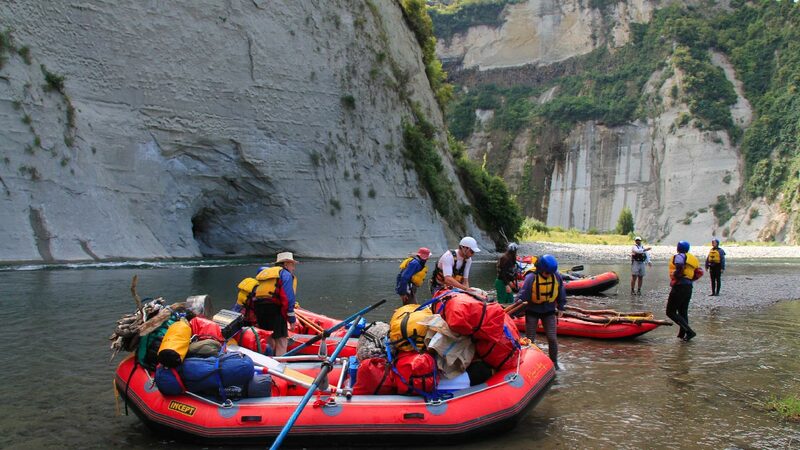 The company I booked through had numerous options for rafting the Rangitikei listed, from casual family-friendly scenic day trips to intense 3-day rafting adventures for experts. I opted for the instant adrenaline hit: the 8:30 a.m. 2.5-hour, half-day white water rafting trip, covering 12km of river and dozens of daring rapids including 10 serious grade 4-5 sections. This isn’t a trip for the faint-hearted. It’s a real white-water, white-knuckle journey. But if that’s what you’re after, then you should not pass this up, because it was awesome. Compared with other rafting trips, where the guide seems to be totally in control and the paddles feel mostly for propulsion, on the Rangitikei it felt like every time your paddle was in the water, the way it was, where it was, had an impact on determining how the raft went through the narrow chutes, rocky gorges and heart-swallowing drops. I’m sure the scenery is stunning – but I didn’t get to take it in. I think it’s safe to say I had squeezed at least a full day’s worth of white water rafting into a few hours. So, for a change, the afternoon was spent not sitting on a kayak or raft, but sitting in the car for a half-day drive from Taupo to Wellington.